Neo-Fisherians: Unite and Throw off MV=PY and Your Phillips Curves! 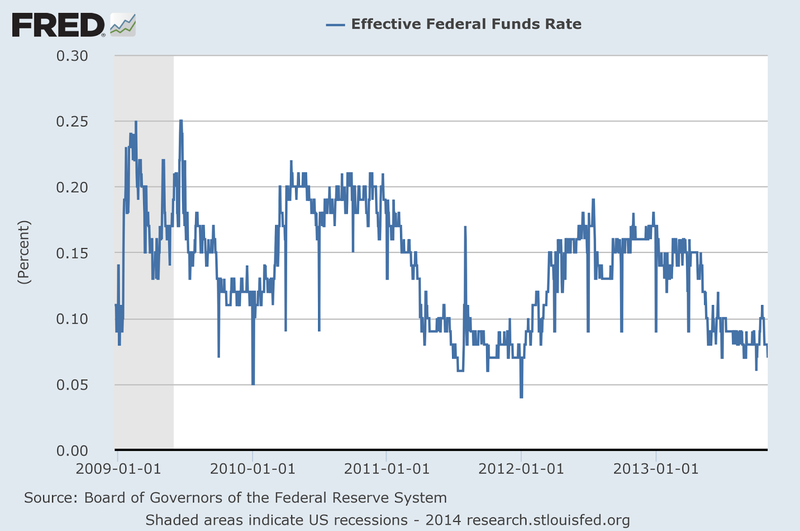 And at the highest level we have the neo-Fisherite claim that everything we thought we knew about monetary policy is backwards, that low interest rates actually lead to lower inflation, not higher. At least this stuff is being presented in an even-tempered way. But it’s still very strange. Nick Rowe has been working very hard to untangle the logic of these arguments, basically trying to figure out how the rabbit got stuffed into the hat; the meta-point here is that all of the papers making such claims involve some odd assumptions that are snuck by readers in a non-transparent way. And the question is, why? What motivation would you have for inventing complicated models to reject conventional wisdom about monetary policy? The right answer would be, if there is a major empirical puzzle. But you know, there isn’t. The neo-Fisherites are flailing about, trying to find some reason why the inflation they predicted hasn’t come to pass — but the only reason they find this predictive failure so puzzling is because they refuse to accept the simple answer that the Keynesians had it right all along. Well, at least Krugman gives Neo-Fisherites credit for being even-tempered. Let's start with the theory. Krugman's claim is that "all of the papers making such claims involve odd assumptions that are snuck by readers in a non-transparent way." Those sneaky guys, throwing up a smoke screen with their odd assumptions and such. Actually, I think Cochrane's blog post on this was pretty clear and helpful, for the uninitiated. I've written about this as well, for example in this piece from last year, and other posts you can find in my archive. More importantly, I have a sequence of published and unpublished papers on this issue, in particular this published paper, this working paper, and this other working paper. That's not all directed at the specific issue at hand - "everything we thought we knew about monetary policy is backwards" - but covers a broader range of issues relating to the financial crisis, conventional monetary policy, and unconventional monetary policy. If this is "flailing about," I'm not sure what we are supposed to be doing. I've taken the trouble to formalize some ideas with mathematics, and have laid out models with explicit assumptions that people can work through at their leisure. These papers have been presented on repeated occasions in seminars and conferences, and are being subjected to the refereeing and editorial process at academic journals, just as is the case for any type of research that we hope will be taken seriously. The work is certainly not out of the blue - it's part of an established research program in monetary and financial economics, which many people have contributed to over the last 40 years or so. Nothing particular odd or sneaky going on, as far as I know. Indeed, some people who work in that program would be happy to be called Keynesians, who are the only Good Guys, in Krugman's book. So, let me tell you about a new paper, with David Andolfatto, which I'm supposed to present at a Carnegie-Rocheser-NYU conference later this week (for the short version, see the slides) . This paper had two goals. First, we wanted to make some ideas more accessible to people, in a language they might better understand. Some of my work is exposited in terms Lagos-Wright type models. From my point of view, these are very convenient vehicles. The goal is to be explicit about monetary and financial arrangements, so we can make precise statements about how the economy works, and what monetary policy might be able to do to enhance economic performance. It turns out that Lagos-Wright is a nice laboratory for doing that - it retains some desirable features of the older money/search models, while permitting banking and credit arrangements in convenient ways, and allowing us to say a lot more about policy. Lagos-Wright models are simple, and once you're accustomed to them, as straightforward to understand as any basic macro model. Remember what it was like when you first saw a neoclassical growth model, or Woodford's cashless model. Pretty strange, right? But people certainly became quickly accustomed to those structures. Same here. You may think it's weird, but for a core group of monetary theorists, it's like brushing your teeth. But important ideas are not model-bound. We should be able to do our thinking in alternative structures. So, one goal of this paper is to explore the ideas in a cash-in-advancey world. This buys us some things, and we lose some other things, but the basic ideas are robust. The model is structured so that it can produce a safe asset shortage, which I think is important for explaining some features of our recent zero-lower-bound experience in the United States. To do that, we have to take a broad view of how assets are used in the financial system. Part of what makes new monetarism different from old monetarism is its attention to the whole spectrum of assets, rather than some subset of "monetary" assets vs. non-monetary assets. We're interested in the role of assets in financial exchange, and as collateral in credit arrangements, for example. For safe assets to be in short supply, we have to specify some role for those safe assets in the financial system, other than as pure stores of wealth. In the model, that's done in a very simple way. There are some transactions that require currency, and some other transactions that can be executed with government bonds and credit. We abstract from banking arrangements, but the basic idea is to think of the bonds/credit transactions as being intermediated by banks. We think of this model economy as operating in two possible regimes - constrained or unconstrained. The constrained regime features a shortage of safe assets, as the entire stock of government bonds is used in exchange, and households are borrowing up to their credit limits. To be in such a regime requires that the fiscal authority behave suboptimally - basically it's not issuing enough debt. 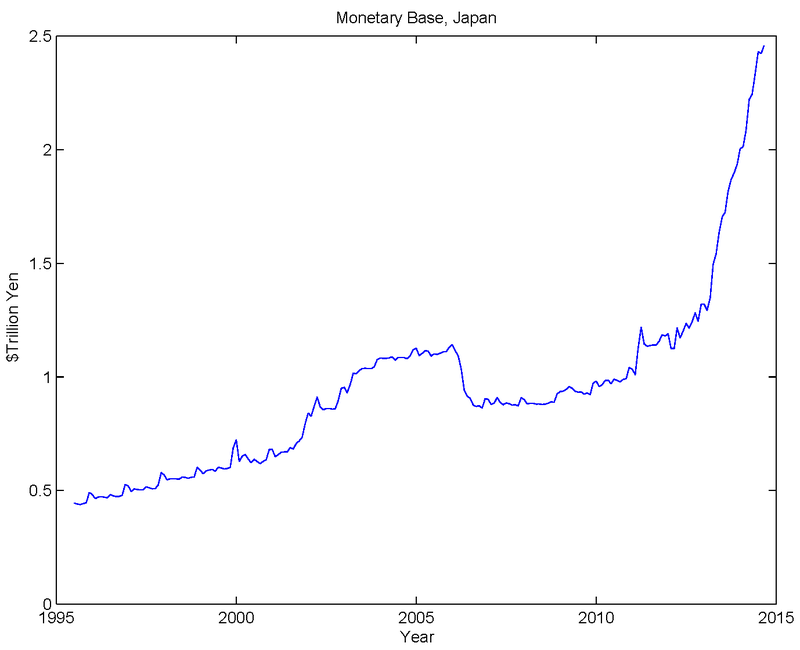 If that is the case, then the regime will be constrained for sufficiently low nominal interest rates. This is because sufficient open market sales of government debt by the central bank will relax financial constraints. In a constrained regime, there is a liquidity premium on government debt, so the real interest rate is low. In an unconstrained regime the model behaves like a Lucas-Stokey cash-in-advance economy. What's interesting is how the model behaves in a constrained regime. Lowering the nominal interest rate will result in lower consumption, lower output, and lower welfare, at least close to the zero lower bound. Why? Because an open market purchase of government bonds involves a tradeoff. There are two kinds of liquidity in this economy - currency and interest-bearing government debt. An open market purchase increases currency, but lowers the quantity of government debt in circulation. Close to the zero lower bound, this will lower welfare, on net. This implies that a financial shock which tightens financial constraints and lowers the real interest rate does not imply that the central bank should go to the zero lower bound. That's very different from what happens in New Keynesian (NK) models, where a similar shock implies that a zero lower bound policy is optimal. As we learned from developments in macroeconomics in the 1970s, to evaluate policy properly, we need to understand the operating characteristics of the economy under particular fiscal and monetary policy rules. We shouldn't think in terms of actions - e.g. what happens if the nominal interest rate were to go up today - as today's economic behavior depends on the whole path of future policy under all contingencies. 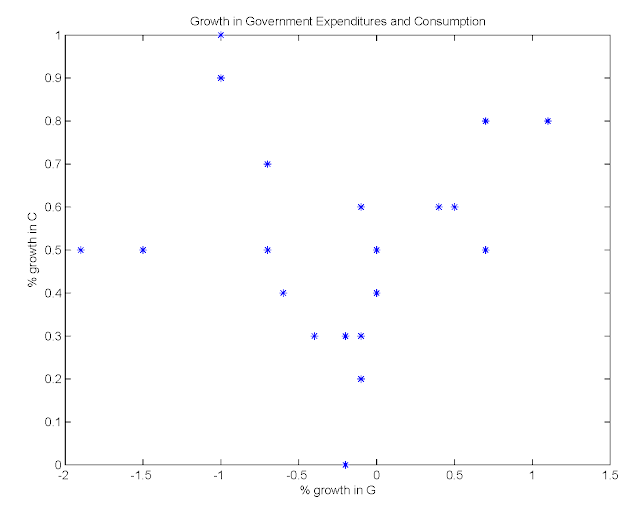 Our analysis is focused on monetary policy, but that doesn't mean that fiscal policy is not important for the analysis. Indeed, what we assume about the fiscal policy rule will be critical to the results. People who understand this issue well, I think, are those who worked on the fiscal theory of the price level, including Chris Sims, Eric Leeper, John Cochrane, and Mike Woodford. What we assume - in part because this fits conveniently into our analysis, and the issues we want to address - is that the fiscal authority acts to target the real value of the consolidated government debt (i.e. the value of the liabilities of the central bank and fiscal authority). Otherwise, it reacts passively to actions by the monetary authority. Thus, the fiscal authority determines the real value of the consolidated government debt, and the central bank determines the composition of that debt. Like Woodford, we want to think about monetary policy with the nominal interest rate as the instrument. We can think about exogenous nominal interest rates, random nominal interest rates, or nominal interest rates defined by feedback rules from the state of the economy. In the model, though, how a particular path for the nominal interest rate is achieved depends on the tools available to the central bank, and on how the fiscal authority responds to monetary policy. In our model, the tool is open market operations - swaps of money for short-term government debt. To see how this works in conjunction with fiscal policy, consider what happens in a constrained equilibrium at the zero lower bound. In such an equilibrium, c = V+K, where c is consumption, V is the real value of the consolidated government debt, and K is a credit limit. The equilibrium allocation is inefficient, and there would be a welfare gain if the fiscal authority increased V, but we assume it doesn't. Further, the inflation rate is i = B[u'(V+K)/A] - 1, where B is the discount factor, u'(V+K) is the marginal utility of consumption, and A is the constant marginal disutility of supplying labor. Then, u'(V+K)/A is an inefficiency wedge, which is equal to 1 when the equilibrium is unconstrained at the zero lower bound. The real interest rate is A/[Bu'(V+K)] - 1. Thus, note that there need not be deflation at the zero lower bound - the lower is the quantity of safe assets (effectively, the quantity V+K), the higher is the inflation rate, and the lower is the real interest rate. This feature of the model can explain why, in the Japanese experience and in recent U.S. history, an economy can be at the zero lower bound for a long time without necessarily experiencing outright deflation. Further, in this zero lower bound liquidity trap, inflation is supported by fiscal policy actions. The zero nominal interest rate, targeted by the central bank, is achieved in equilibrium by the fiscal authority increasing the total stock of government debt at the rate i, with the central bank performing the appropriate open market operations to get to the zero lower bound. There is nothing odd about this, in terms of reality, or relative to any monetary model we are accustomed to thinking about. No central bank can actually "create money out of thin air" to create inflation. Governments issue debt denominated in nominal terms, and central banks purchase that debt with newly-issued money. In order to generate a sustained inflation, the central bank must have a cooperative government that issues nominal debt at a sufficiently high rate, so that the central bank can issue money at a high rate. In some standard monetary models we like to think about, money growth and inflation are produced through transfers to the private sector. 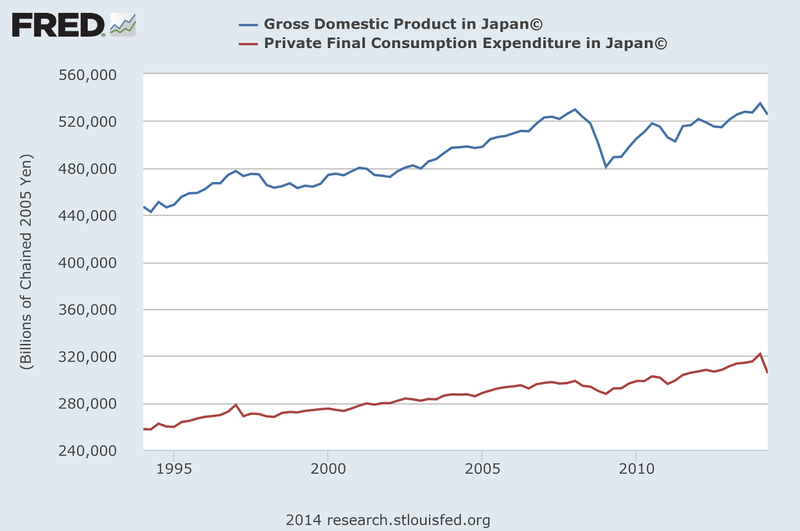 That's plainly fiscal policy, driven by monetary policy. where R is the nominal interest rate, i is the inflation rate, a > 0 is a parameter, i* is the central banker's inflation target, and x is an adjustment that appears in the rule to account for the real interest rate. In many models, the real interest rate is a constant in the long run, so if we set x equal to that constant, then the long-run Fisher relation, R = i + x, implies there is a long-run equilibrium in which i=i*. The Taylor rule peril that Benhabib et al. 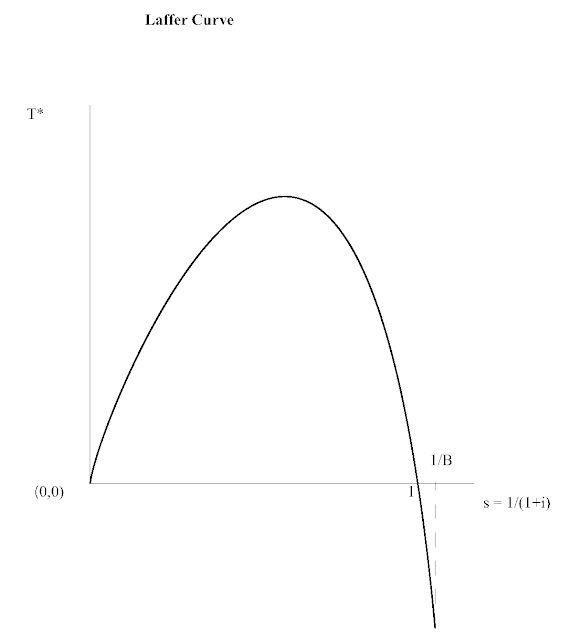 point out, is that, if a > 1 (the Taylor principle), then the zero lower bound is another long run equilibrium, and there are many dynamic equilibria that converge to it. Basically, the zero lower bound is a trap. It's not a "deflationary trap," in an Old Keynesian sense, but a policy trap. At the zero lower bound, the central banker wants to aggressively fight inflation by lowering the nominal interest rate, but of course can't do it. He or she is stuck. 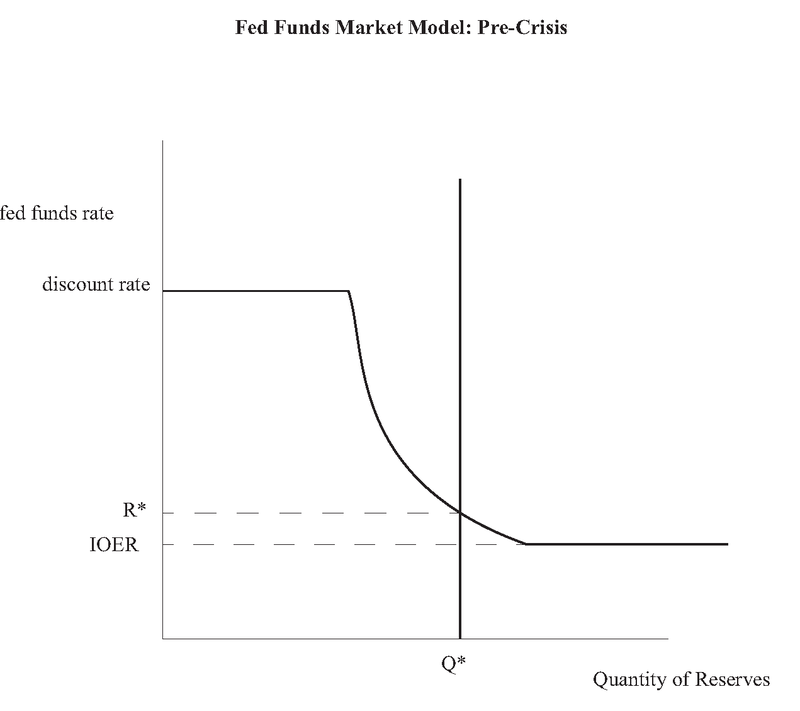 In our model, there's potentially another peril, which is that the long-run real interest rate is endogenous if there is a safe asset shortage. 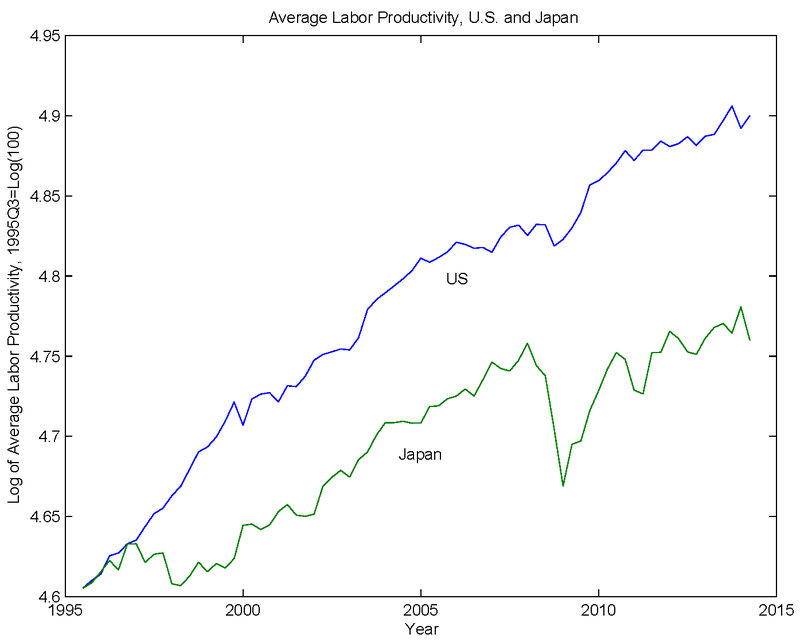 If x fails to account for this, the central banker will err. In the unconstrained - i.e conventional - regime in the model, we get the flavor of the results of Benhabib et al. 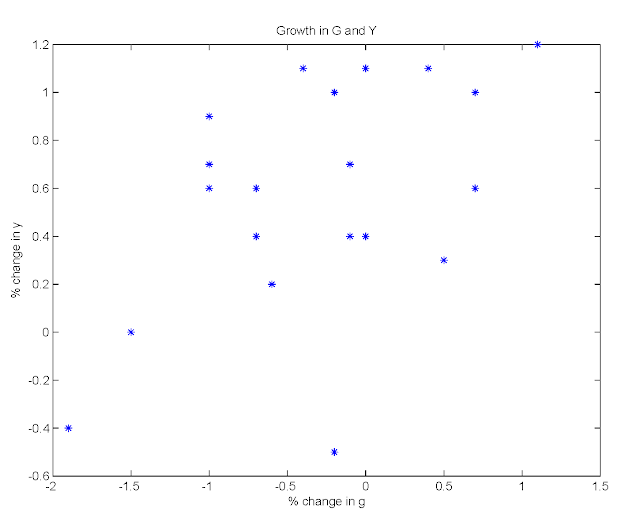 If a < 1 (a non-aggressive Taylor rule), then there can be multiple dynamic equilibria, but they all converge in the limit to the unique steady state with i = i*: the central banker achieves the inflation target in the long run. However, if a > 1, there are two steady states - the intended one, and the zero lower bound. Further, there can be multiple dynamic equilibria that converge to the zero lower bound (in which i < i* and there is deflation) in finite time. In a constrained regime, if the central banker fails to account for endogeneity in the real interest rate, the Taylor rule is particularly ill-behaved - the central banker will essentially never achieve his or her inflation target. But, if the central banker properly accounts for endogeneity in the real interest rate, the properties of the equilibria are similar to the unconstrained case, except that inflation is higher in the zero-lower-bound steady state. 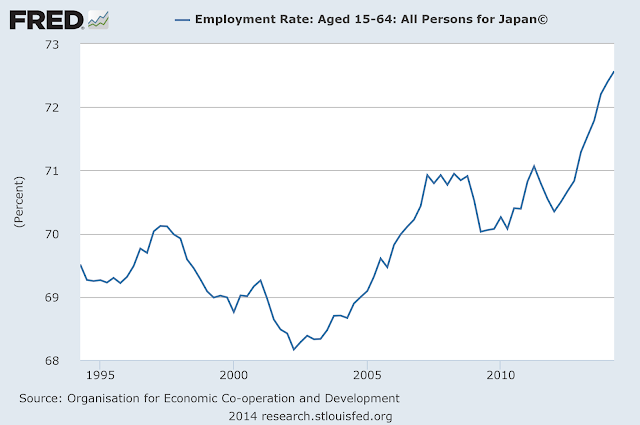 How can the central banker avoid getting stuck at the zero lower bound? He or she has to change his or her policy rule. 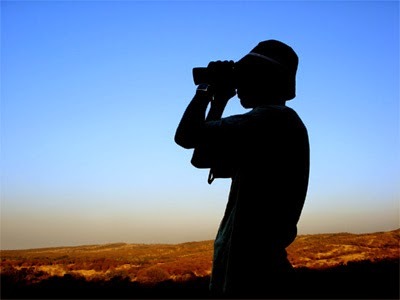 For example, if the nominal interest rate is currently zero, there are no alternatives. If what is desired is a higher inflation rate, the central banker has to raise the nominal interest rate. But how does that raise inflation? Simple. This induces the fiscal authority to raise the rate of growth in total nominal consolidated government liabilities. But what if the fiscal authority refused to do that? 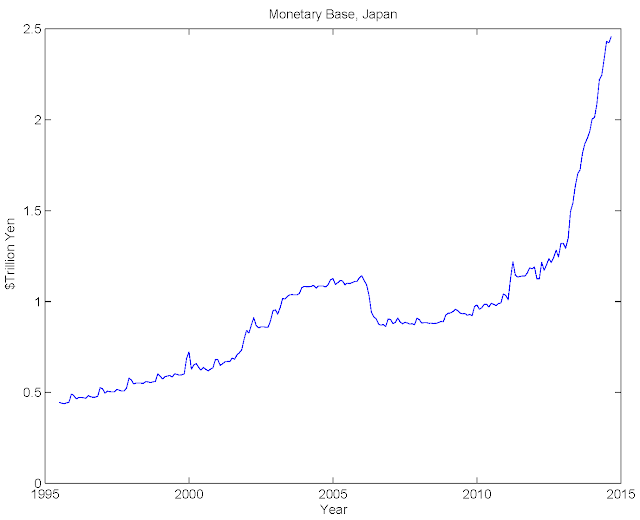 Then higher inflation can't happen, and the higher nominal interest rate is not feasible. In the paper, we get a set of results for a model which does not have a short-term liquidity effect. Presumably that's the motivation behind a typical Taylor rule. 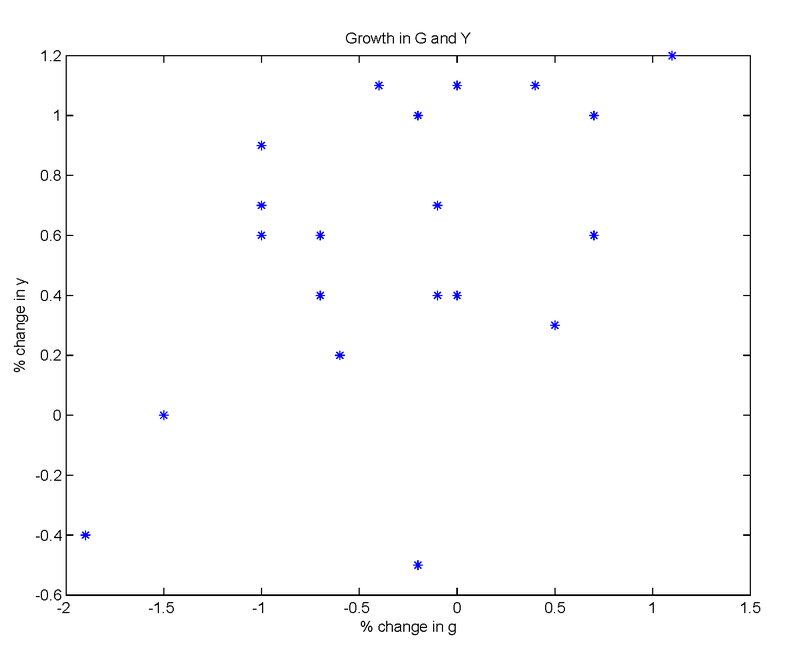 A liquidity effect associates downward shocks to the nominal interest rate with increases in the inflation rate, so if the Taylor rule is about making short run corrections to achieve an inflation rate target, then maybe increasing the nominal interest rate when the inflation rate is above target will work. 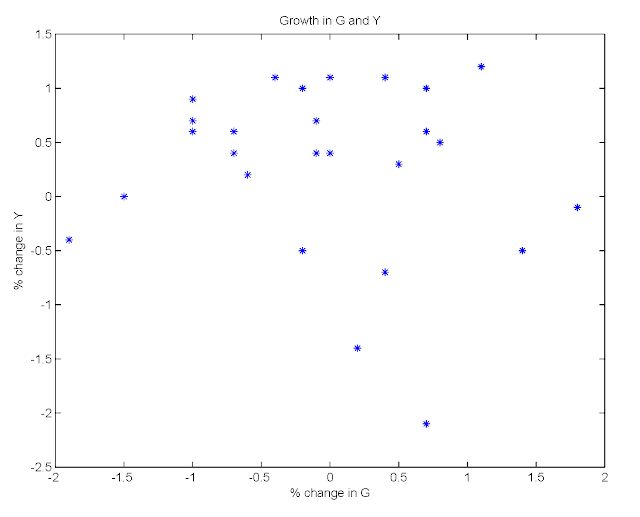 So, we modify the model to include a segmented-markets liquidity effect. Typical segmented markets models - for example this one by Alvarez and Atkeson are based on the redistributive effects of cash injections. 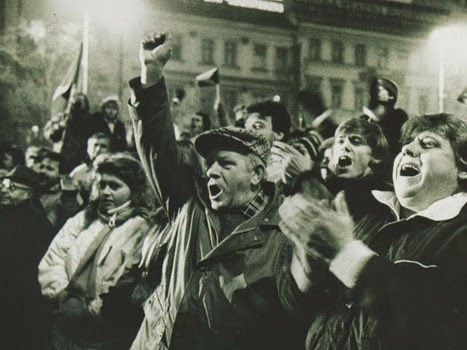 In our model, we allow a fraction of the population - traders - to participate in financial markets, in that they can use credit and carry out exchange using government bonds (again, think of this exchange being intermediated by financial intermediaries). The rest of the population are non-traders, who live in a cash-only world. 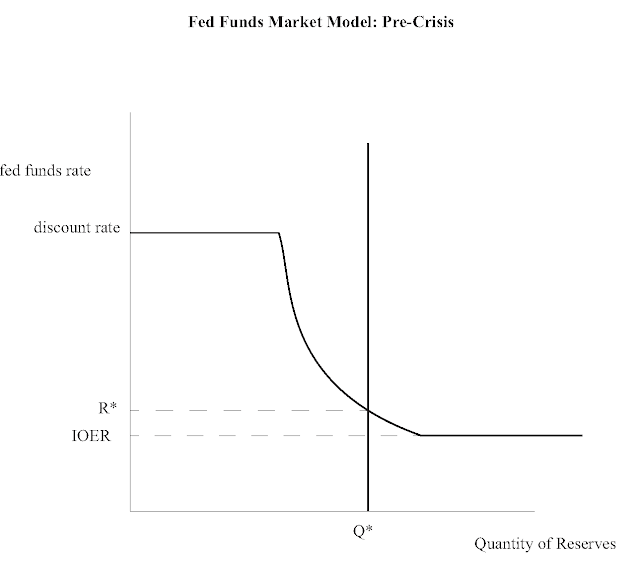 In this model, if a central banker carries out random policy experiments - moving the nominal interest rate around in a random fashion - he or she will discover the liquidity effect. 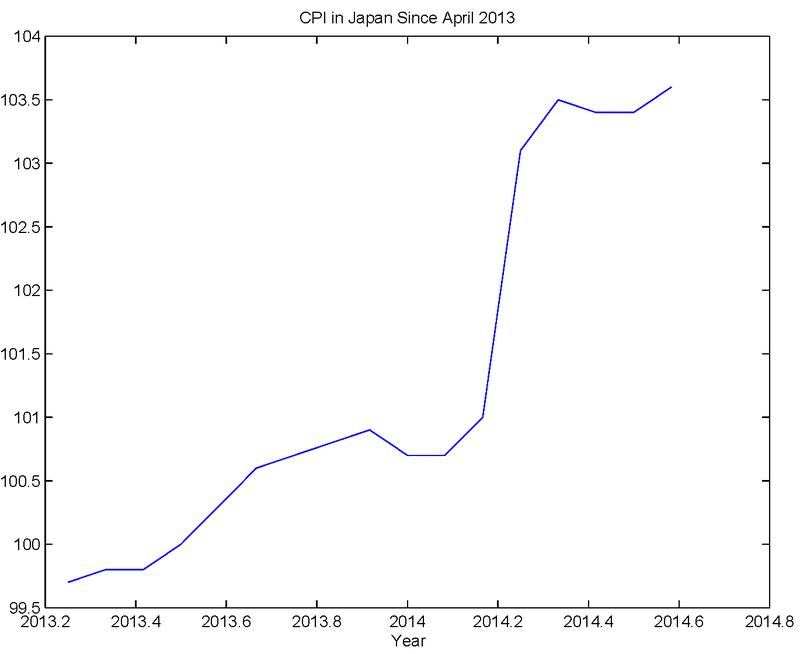 That is, when the nominal interest rate goes up, inflation goes down. But if this central banker wants to increase the inflation rate permanently, the way to accomplish that is by increasing the nominal interest rate permanently. Perhaps surprisingly, the response of inflation to a one time jump (perfectly anticipated) in the nominal interest rate, looks like the figure in John Cochrane's post that he labels "pure neo-Fisherian view." It's surprising because the model is not pure neo-Fisherian - it's got a liquidity effect. Indeed, the liquidity effect is what gives the slow adjustment of the inflation rate. The segmented markets model we analyze has the same Taylor rule perils as our baseline model, for example the Taylor principle produces a zero-lower-bound steady state which is is the terminal point for a continuum of dynamic equilibria. An interesting feature of this model is that the downward adjustment of inflation along one of these dynamic paths continues after the nominal interest rate reaches zero (because of the liquidity effect). This gives us another force which can potentially give us positive inflation in a liquidity trap. We think it is important that central bankers understand these forces. 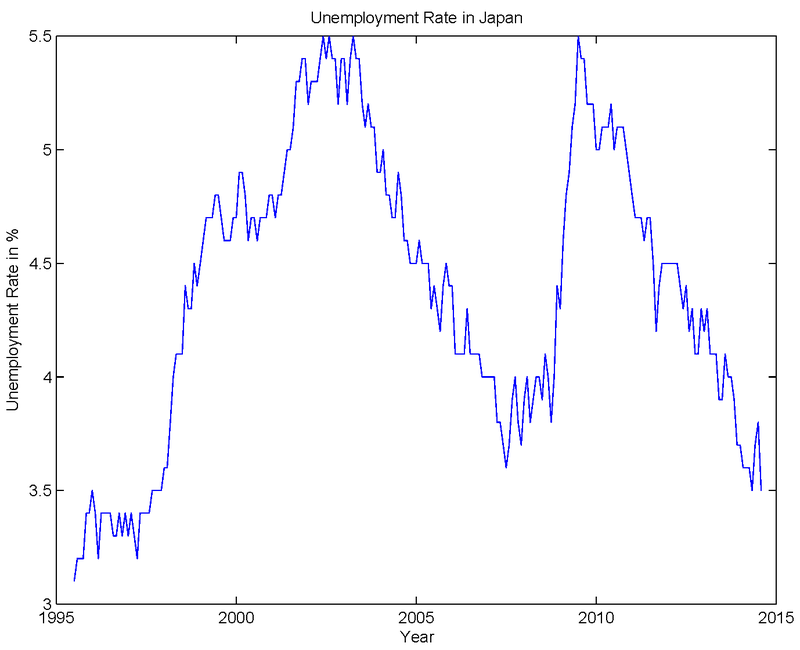 The important takeaways are: (i) The zero lower bound is a policy trap for a Taylor rule central banker. If the central banker thinks that fighting low inflation aggressively means staying at the zero lower bound that's incorrect. 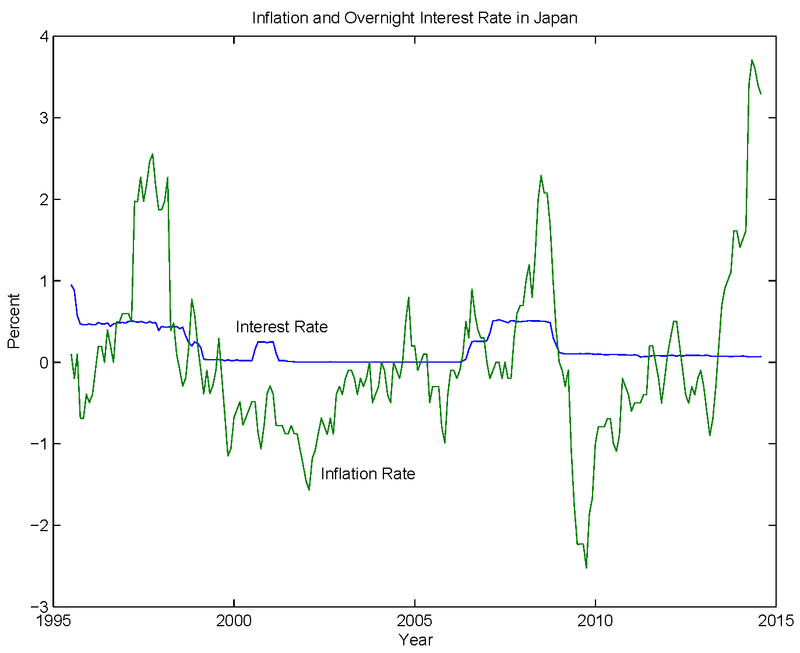 Staying at the zero lower bound dooms the central banker to permanently undershooting his or her inflation target. 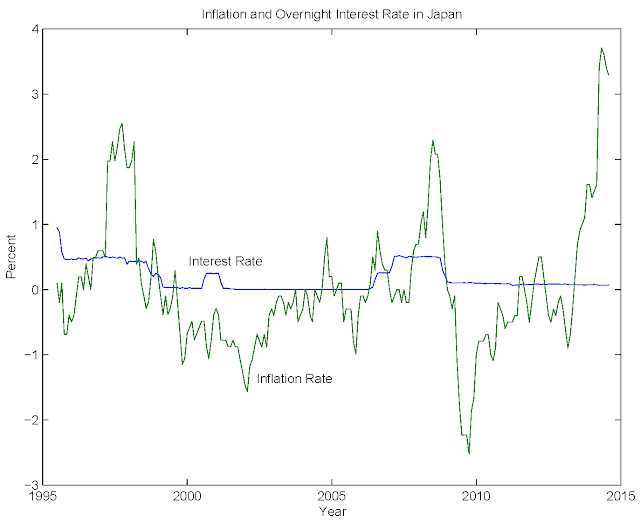 (ii) If the nominal interest rate is zero, and inflation is low, the only way to increase inflation permanently is to increase the nominal interest rate permanently. Why? Well, why not? What's the puzzle? 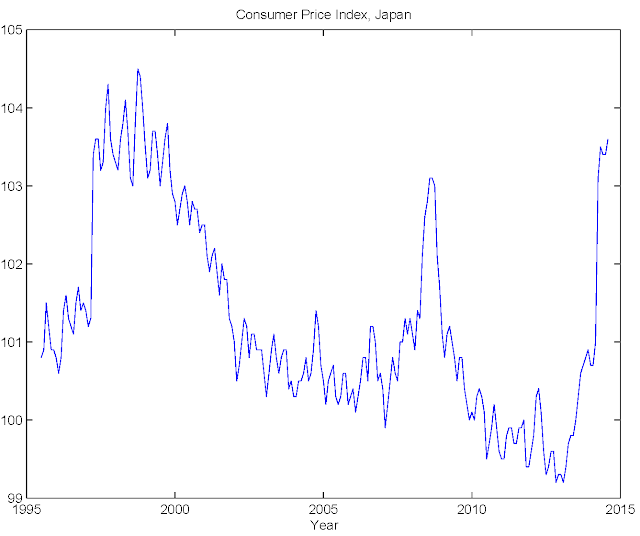 Well, central banks in the world with their "conventional wisdom" seem to have a hard to making inflation go up. Seems they might be doing something wrong. So, it might be useful to give them some advice about what that is instead of sitting in a corner telling them the conventional wisdom is right.